Teachers need to cope with classroom challenges and handle their feelings, which will make it easier for them to manage their students’ feelings. So it is vital that teachers take care of their own wellbeing by managing the stress they experience. This helps in teaching effectively and helping students deal with their stress. To enable student teachers manage stress efficiently several workshops and activities are conducted in the college. 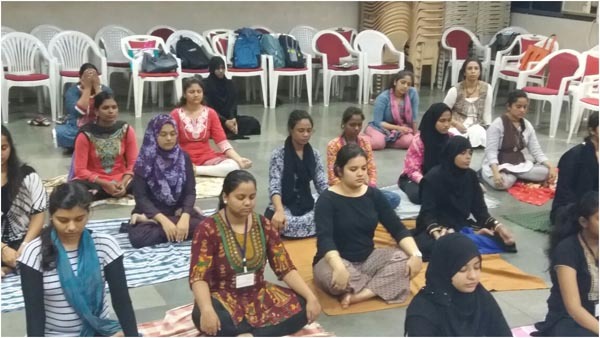 The college conducts a workshop on ‘Stress Management’ lead by Fr. 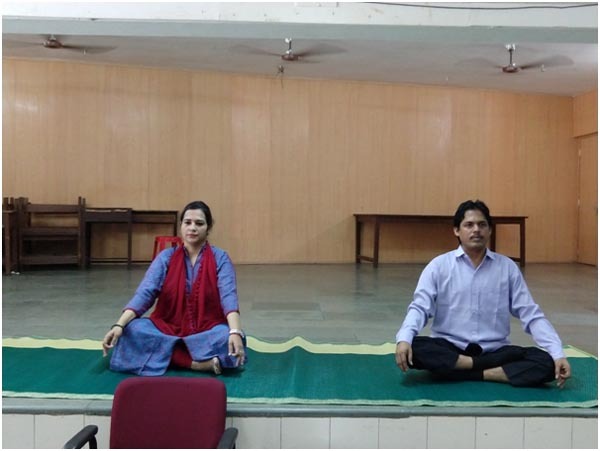 Dr. Clifton Lobo, wherein students are trained in meditation, relaxation techniques and wellness activities. Fr. Lobo is an expert in the field. Yoga sessions are carried out throughout the year. 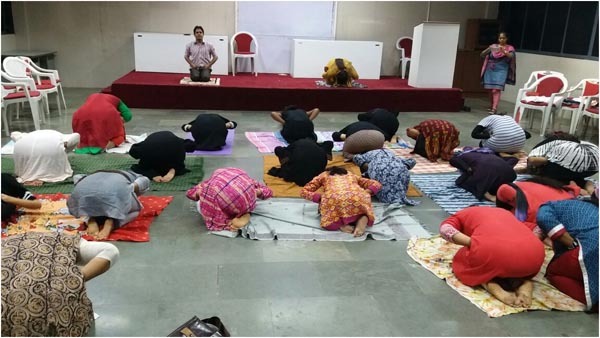 These sessions are led by Mr. Gyanprakash Arya and Dr.Priyanka Pandey who are professionally trained Yoga practitioners. 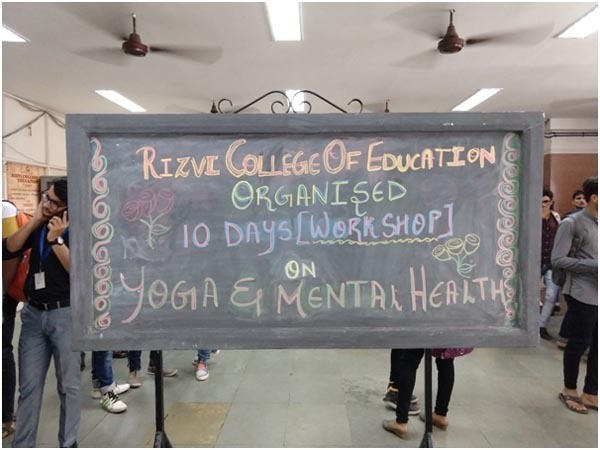 RCoEd organised a 10 – Day workshop for the well being of the mental health of Student Teachers through Yoga as an interventional strategy. 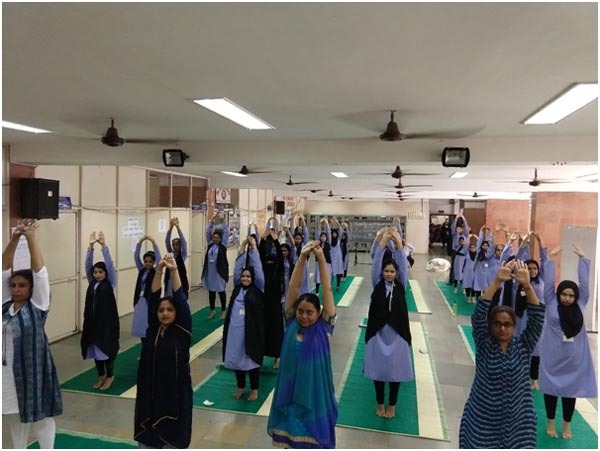 A pre- test is conducted and based on the requirement of the student and different Asanas of Yoga were taken up. 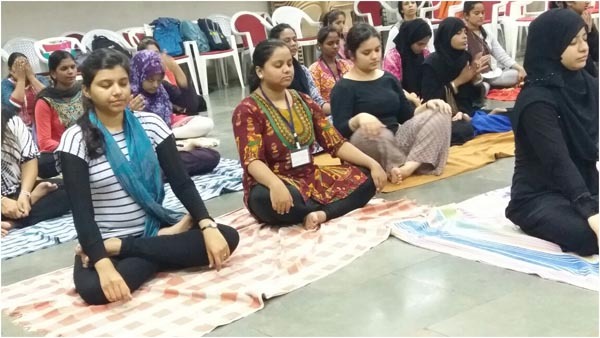 These sessions were conducted by Dr. Priyanka Pandey, who is trained Yoga instructor and the in-house psychologist. Along with the support and involvement of our Principal Sir, Prof. Gyanprakash Arya, these sessions were conducted for Semester III students. 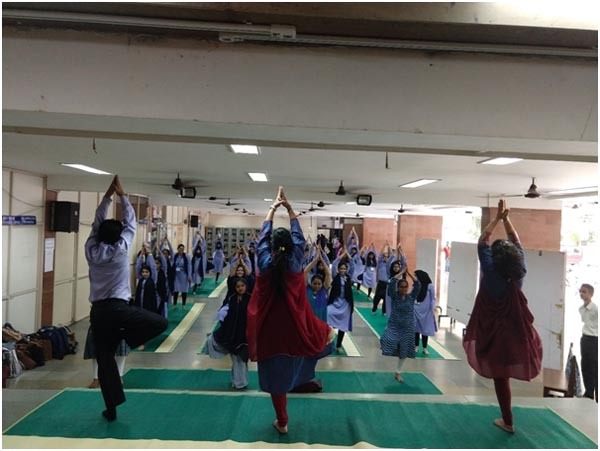 After the last session, a post- test was conducted to know if the students felt the difference and if intervention through yoga has helped them. 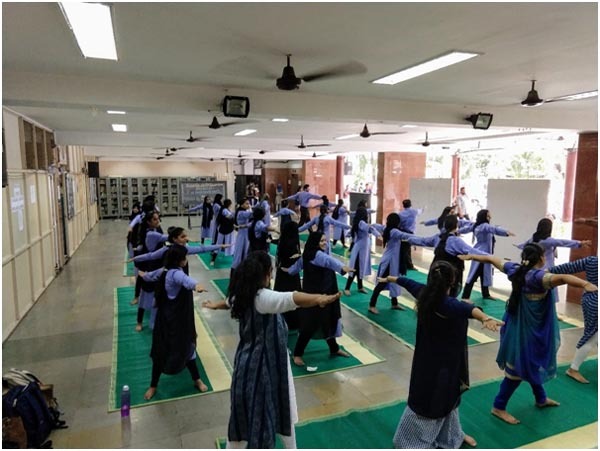 All the teachers and the non-teaching staff delightedly joined in these sessions to learn yoga and also gave fitness a serious thought. We are very delighted and blessed to have the guidance of Dr. Priyanka Pandey and appreciate her efforts and initiation to conduct these sessions every year. Below are a few glimpses of the workshop.